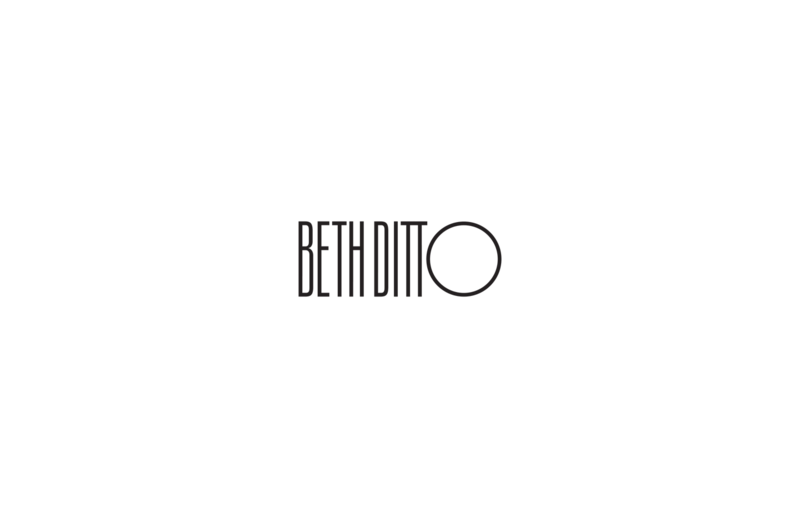 Beth Ditto is a singer known for being confident, colorful and chic. 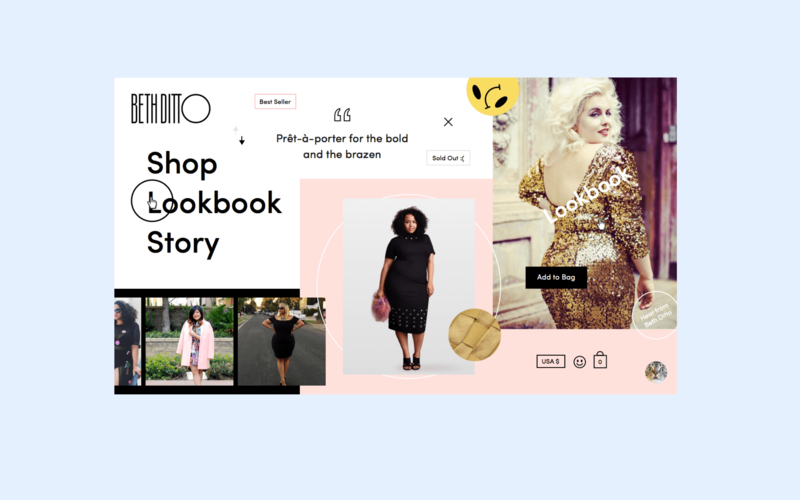 With the launch of her plus-size fashion label, we were tasked with designing an e-commerce experience and visual identity system that embraced the plus-size community and complimented the brand's personality. 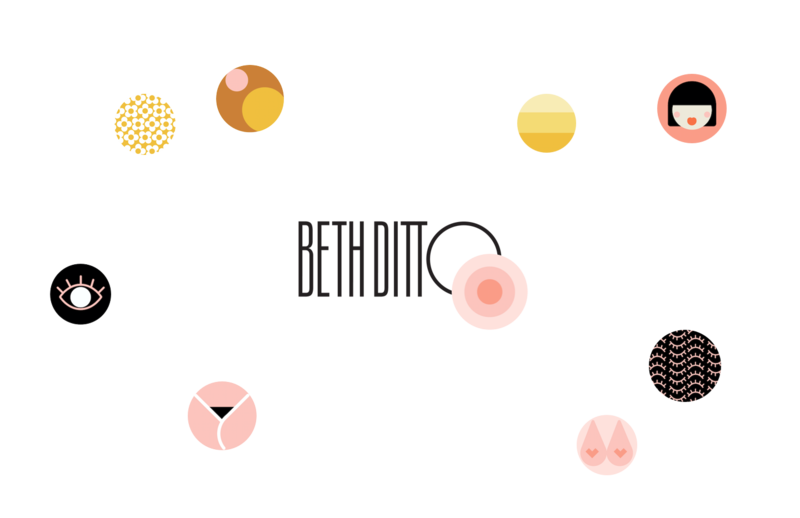 For the visual brand system we wanted to emphasize Beth's expressive personality. Taking inspiration from patches and DIY culture, we created custom stickers that could be interchangeable inside the "o" letterform. 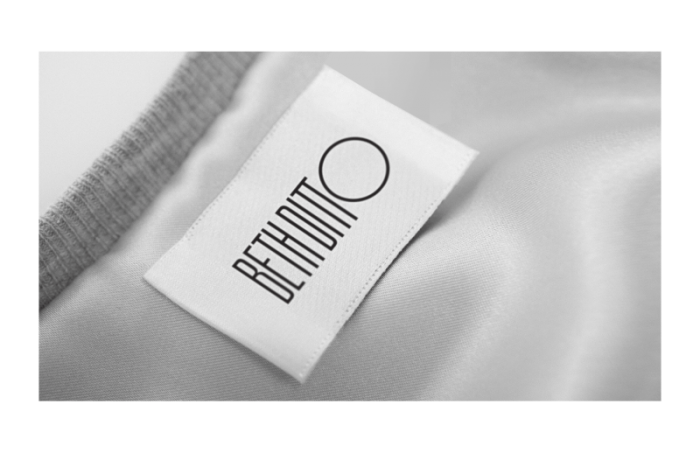 For hang tags, woven labels and tote bags, we focused on a clean and refined logo so that the garments could take center stage. 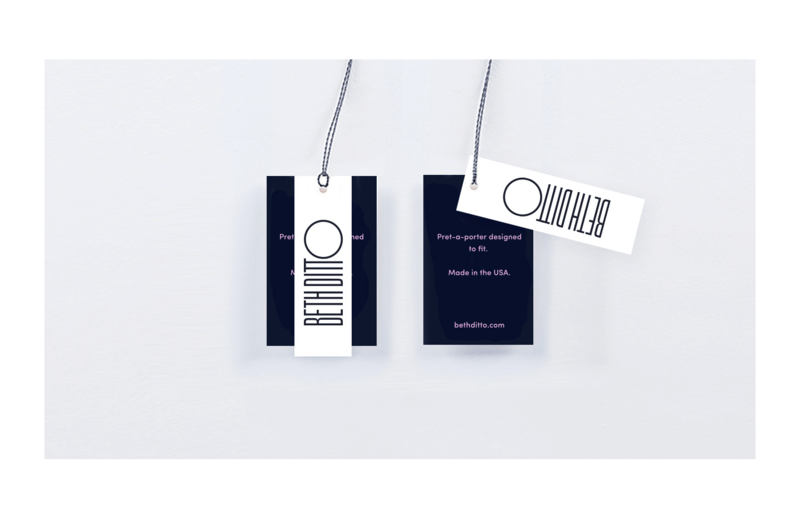 Stickers created by fellow designer Estee Kim. 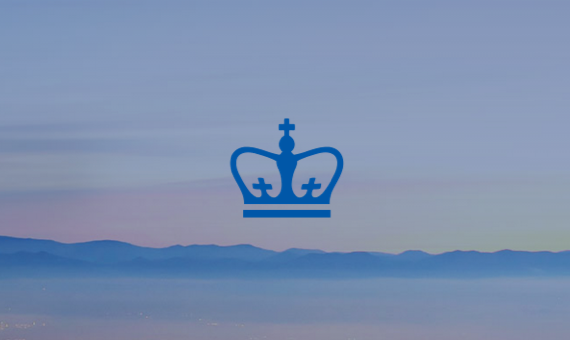 We wanted to let the branding speak for itself. 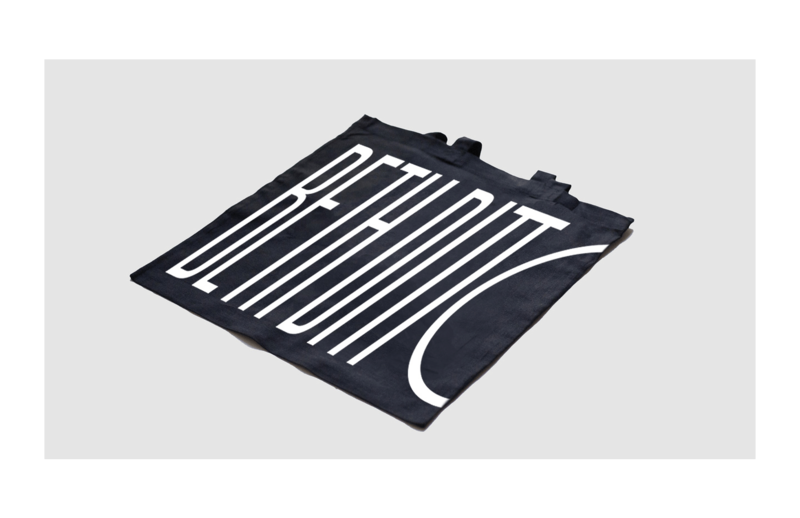 We chose bold typography, playful hovers and a fun color palette to express the brand's personality. 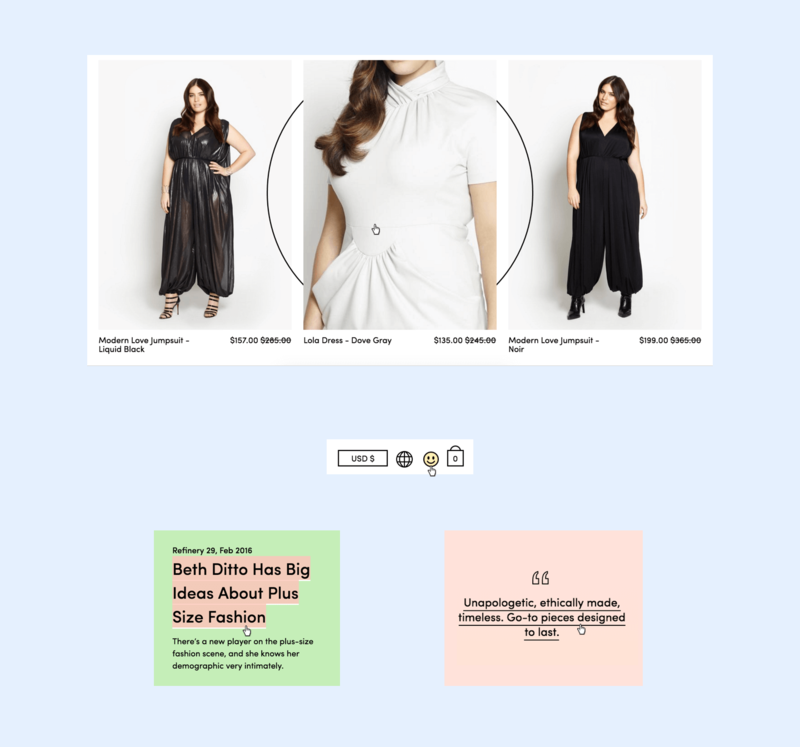 Based on user interviews we discovered that particularly for the plus-size community, peer recommendations were a huge factor in making a final purchase. 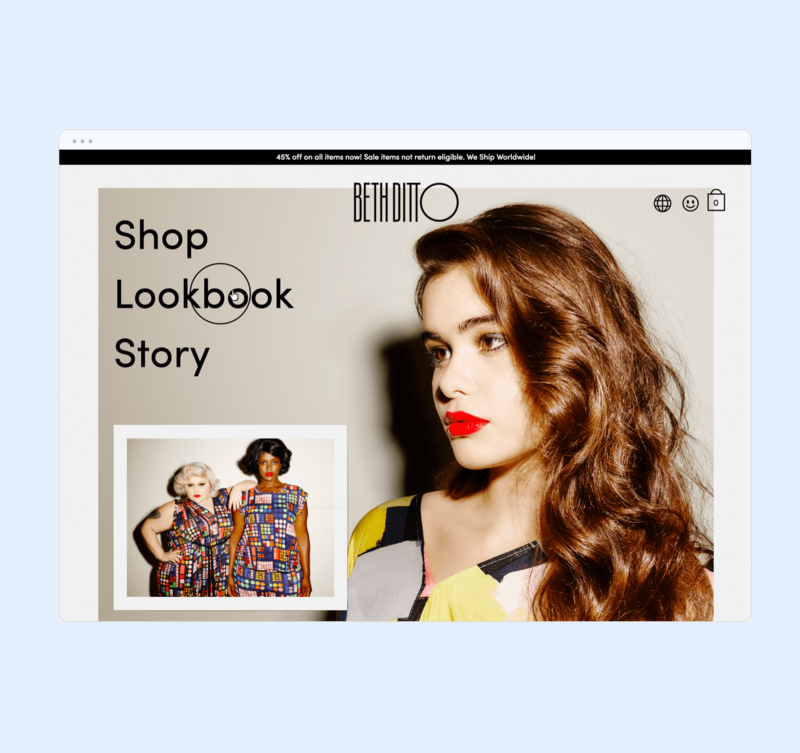 Due to this, we designed product detail pages with reviews that provided useful and relevant information like size ordered and fit. 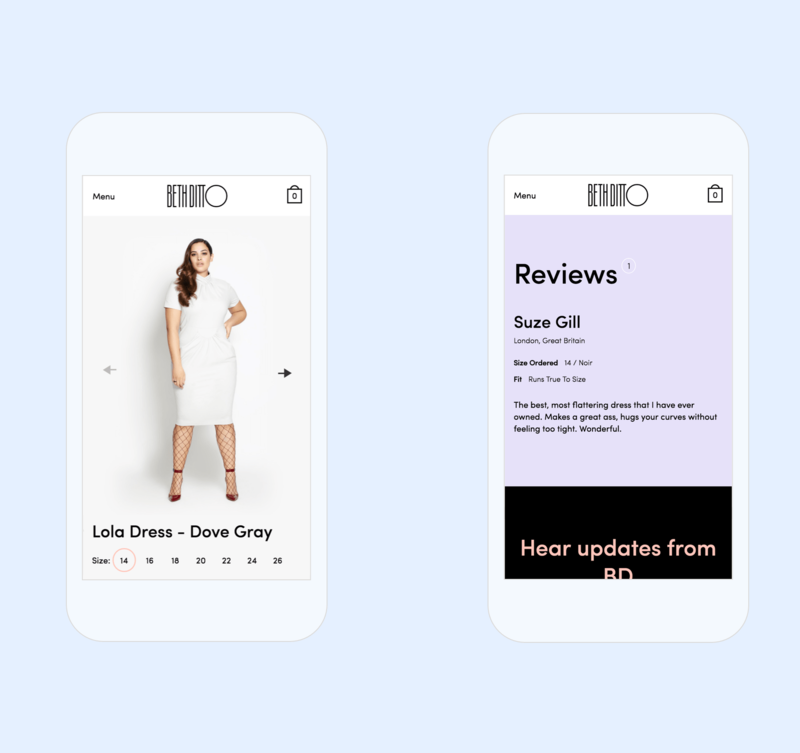 We also integrated a global, curated and shoppable Instagram feed to show real references for fit and styling.